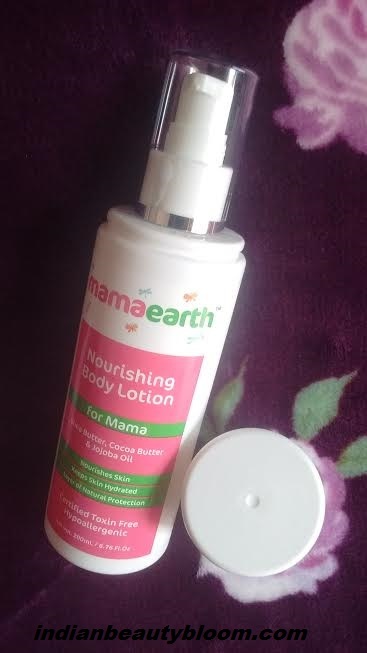 Back with one more product review from the brand Mama Earth, Asia’s 1st made safe certified brand. 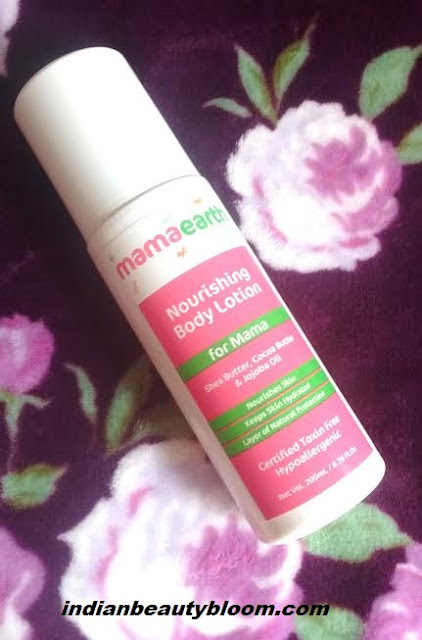 Today I am going to review its Nourishing Body Lotion for Mama . it’s Insect Repellent , Mineral based Sunscreen , Gentle cleansing shampoo , Moisturizing daily lotion etc . All the products are good and my kids enjoyed using these products specially the Sunscreen & Insect Repellent as these were new kind of products for them . Now this brand has come up with some product for Mama’s . This Nourishing Body Lotion is the first product from this range which I have tried and I liked it . 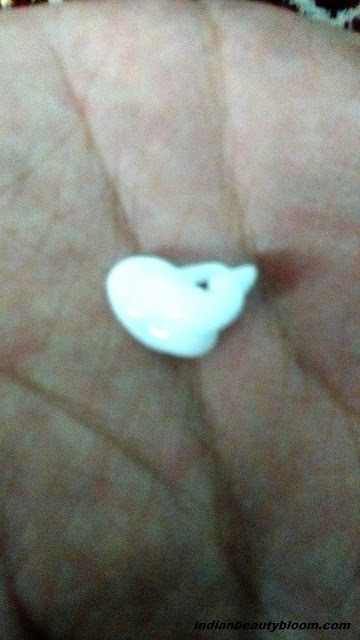 The Body Lotion comes in a good quality bottle with a nozzle at the top from which desired quantity can be taken out , So no wastage of product . The pump dispenser is a Big thumbs up as in case tub packaging it’s bit unhygienic . 1. A toxin and chemical free product . 2. Free of Paraben ,Sulfates , SLS ,Mineral Oil , Artificial color & fragrance . 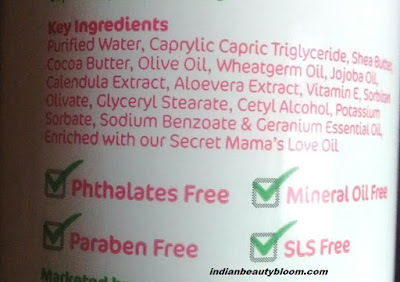 3.Has goodness of Shea Butter ,Cocoa Butter , Jojoba Oil , Aloe Vera . 4. Its non greasy yet moisturizes well . 5. Product Packaging is excellent . 7. Travel Friendly pack . 8. Gets absorbed in the skin quickly and makes skin soft and supple . 10. Suitable for all skin type . The product claims to be a chemical free body lotion with some awesome natural ingredients and claims to moisturize the skin and keep it hydrated for a good period of time . 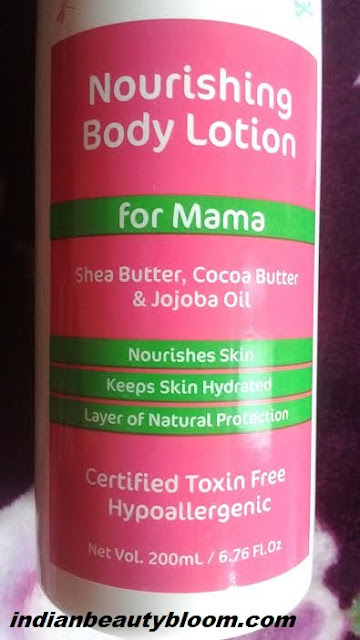 I am using this body lotion past few days and I really liked it . It’s a white color body lotion with a nice mild fragrance , its consistency is neither too thick nor runny. It does what it claims , moisturizes and nourishes the skin and keeps it hydrated for a good period of time . My skin type is oily and it suited my skin . 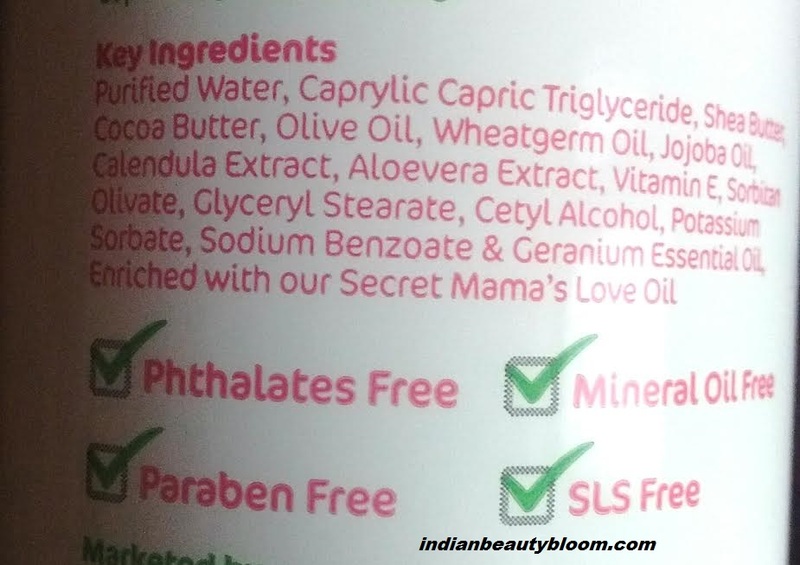 A decent chemical free product in an affordable range is a Must Try One . One can buy this product from Amazon or Flipkart .